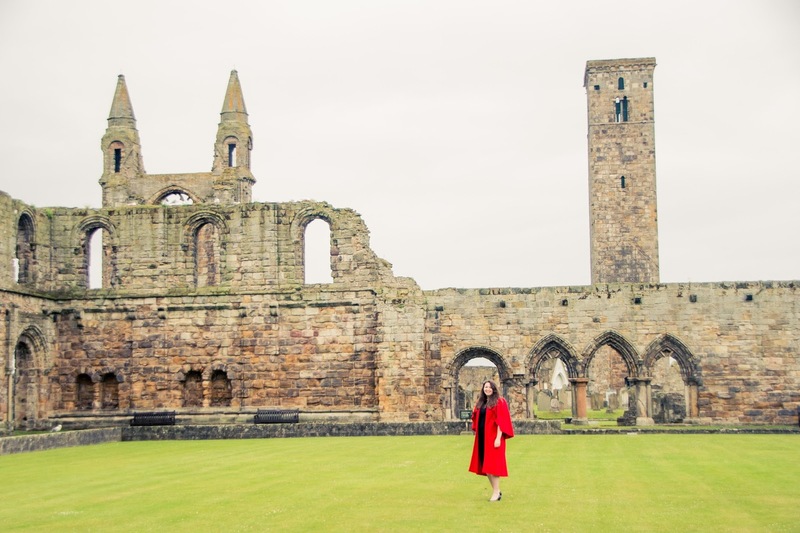 In the past I have talked a little about my time at the University of St Andrews (like the Students Guide to St Andrews here, and the review of the St Andrews Charity Polo Tournament here) but I haven't really talked about some of our crazy traditions (that's a full post to come soon). 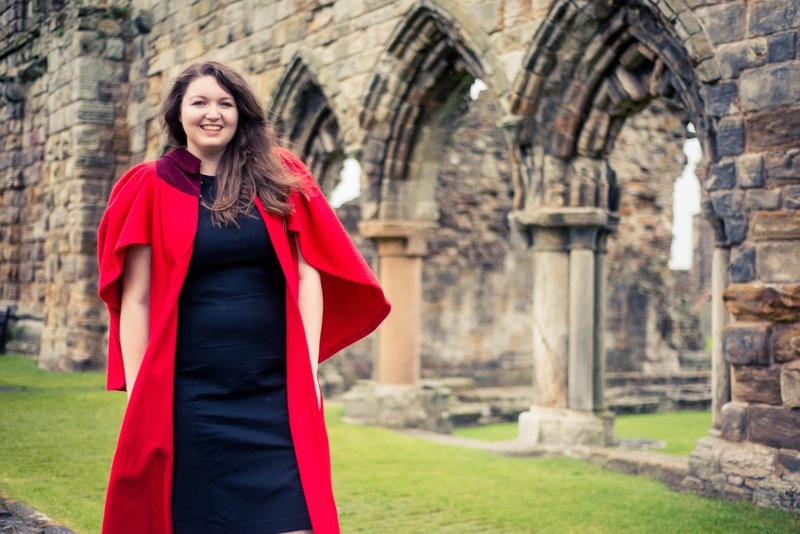 One of our slightly whackier traditions is the red academic gown, which I did a little photo shoot recently so I thought I would take this time to talk a little more about it. Before I begin this, I know it's a bit crazy and Hogwarts-esque but that's half the fun of these old traditions! 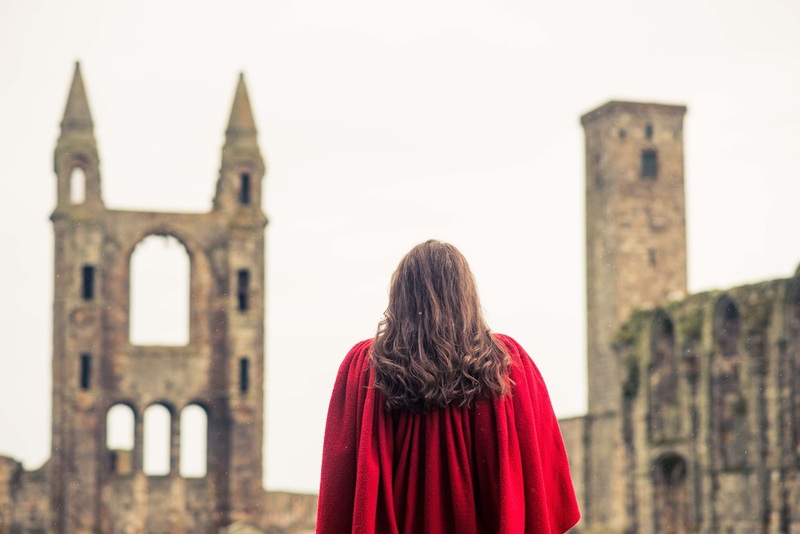 The University of St Andrews has so many traditions partly because of it's age, it was founded over 600 years ago which makes it one of the oldest universities in the Western world! The gown was introduced post-reformation with a number of uses. 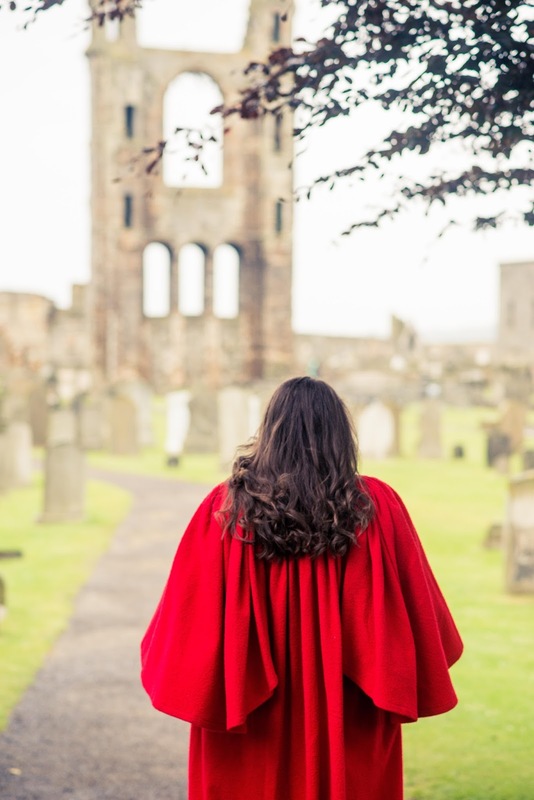 The red gown in these photos is part of the academic dress for undergraduate students, it's our "everyday" gown if that's even a thing! We don't wear it to graduation but instead it was traditionally mandatory to wear it around the town to distinguish us from older students or locals, so that undergrads couldn't sneak into pubs! Nowadays we only wear it on occasions and it's never mandatory. 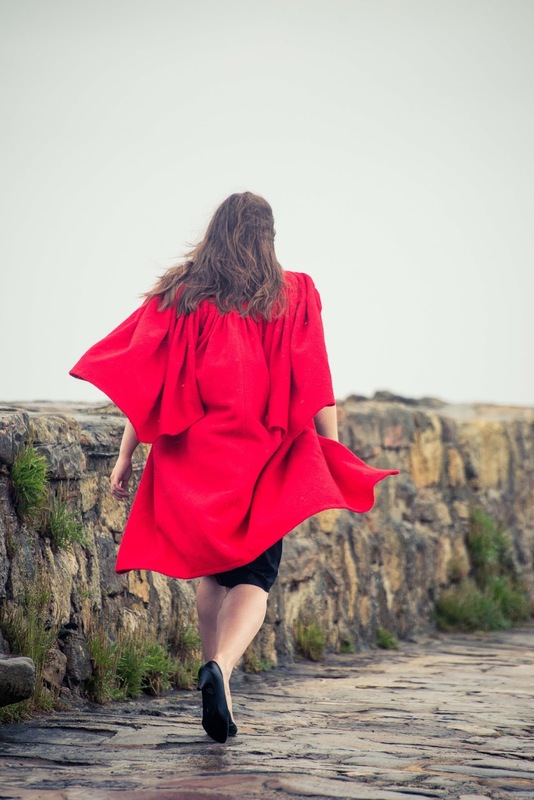 You have the option to wear it to Pier Walks which happen every Sunday if you attend them; to halls of residency's formal dinners; assemblies and any formal or semi-formal events if you want to! You would be surprised at their uses! How you wear the gowns is a little more confusing, and I must confess in these photos I am doing it wrong (out of vanity's sake)! You never fasten the gown, as that is seen as bad luck. But how you wear it depends on what year you are in- if you are in first year you wear it on both shoulders, then on alternate shoulders in second and third year and finally in fourth year off both shoulders. So how I am wearing this in these photos is first year style, but that's because the fourth year style is just so unflattering! 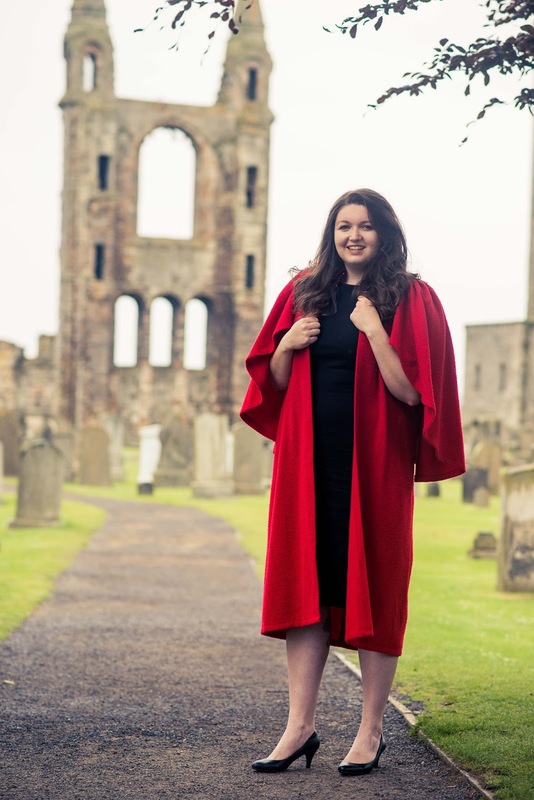 So there is a little introduction to the red academic gowns of St Andrews, I hope you found it interesting (and liked me fancy pants photos). 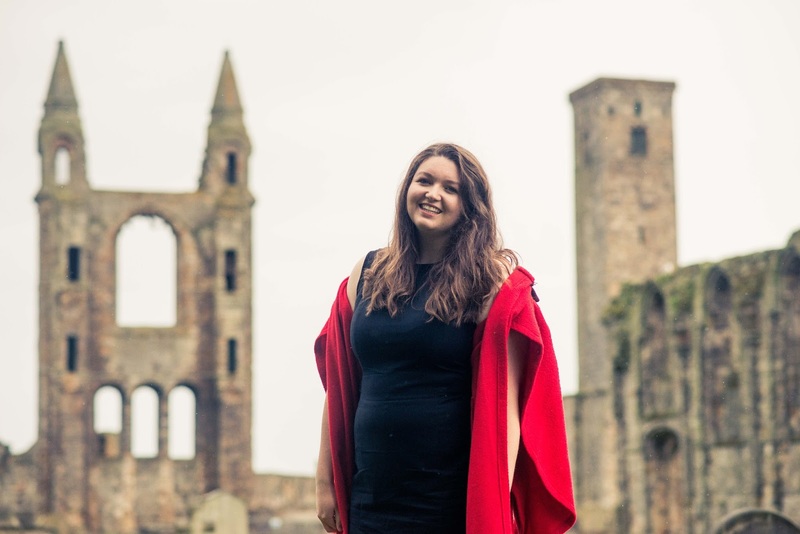 If you like these little snippets of St Andrews life please let me know, as I'm feeling a little nostalgic now I've graduated! Thank you Alison! St Andrews have so many funny traditions! It is beautiful, I'd still wear it if it isn't compulsory anymore. Thank you! It's still really good fun to wear, and some people have been known to wear them to exams!